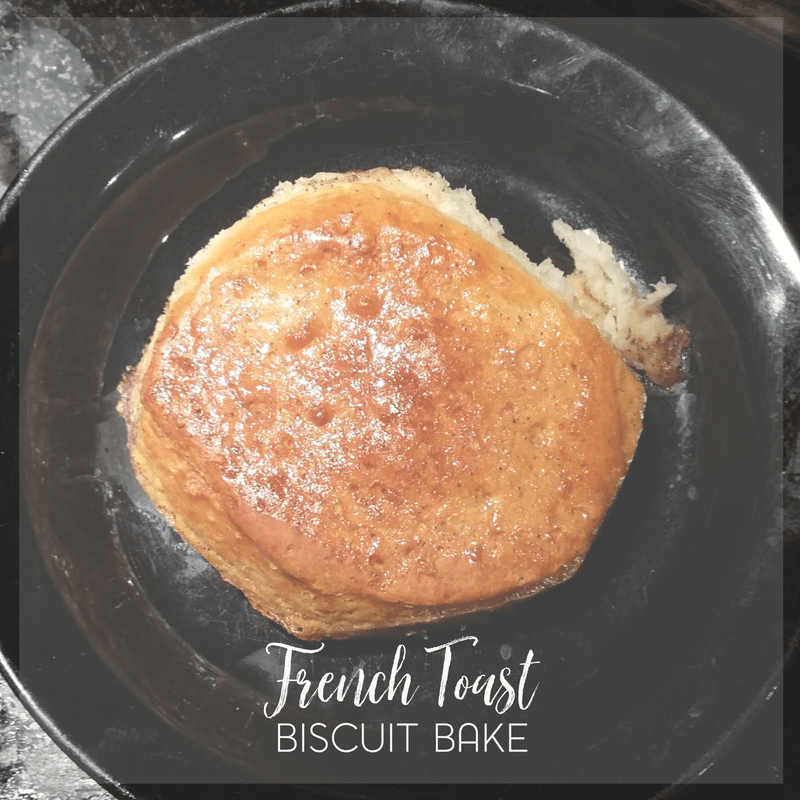 While you could certainly make this easy French toast biscuit bake for breakfast at anytime of the year, this might also be an alternative for Christmas morning. Or for a Christmas brunch. And to be perfectly honest with you? I enjoyed one of these for dessert or an afternoon snack when my sweet tooth hit. I love making egg based recipes because it’s an easy way to sneak some sort of nutritional value into food. French toast was one of those first things that I learned how to make on my own. This particular French toast recipe was also inspired by my dad. On our recent trip to California, my dad made French toast for breakfast one morning. I had never paid attention to how he made French toast, but after having that? I asked why it tasted so different. Naturally he used the same ingredients that I do with one exception. Instead of regular milk, he used sweetened condensed milk. No wonder this was sweeter and more dense! 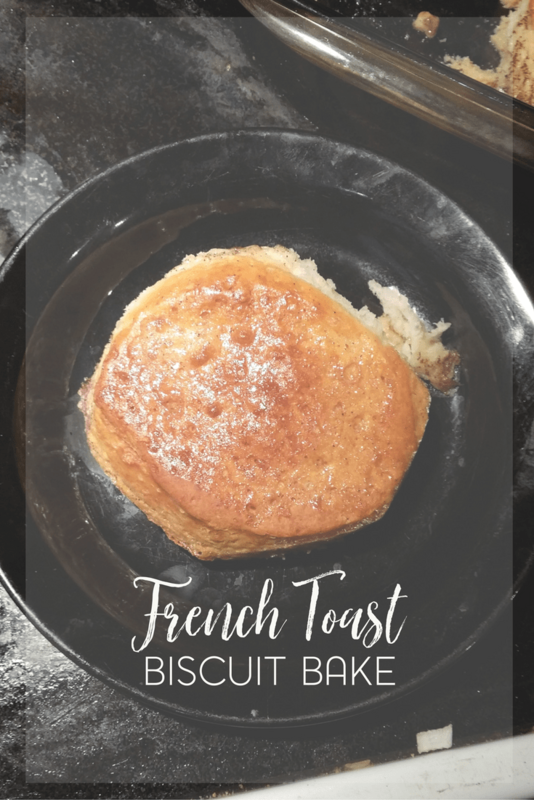 After finding a recipe for a French toast inspired biscuit bake, I knew that I had to adapt my dad’s recipe. Preheat oven to temperature according to packaged biscuits and prepare a 13x9 baking dish. Place biscuits in an even row in the dish. While the oven is preheating, mix remaining ingredients together in a medium sized bowl. Pour mixture over the biscuits and bake for 20 minutes. If you are reheating this later in the day or next day, warm on a microwave safe plate (one serving at a time) for approximately 35 seconds on high. While not everyone in our house likes eggs, I might make this for a church gathering in the near future. 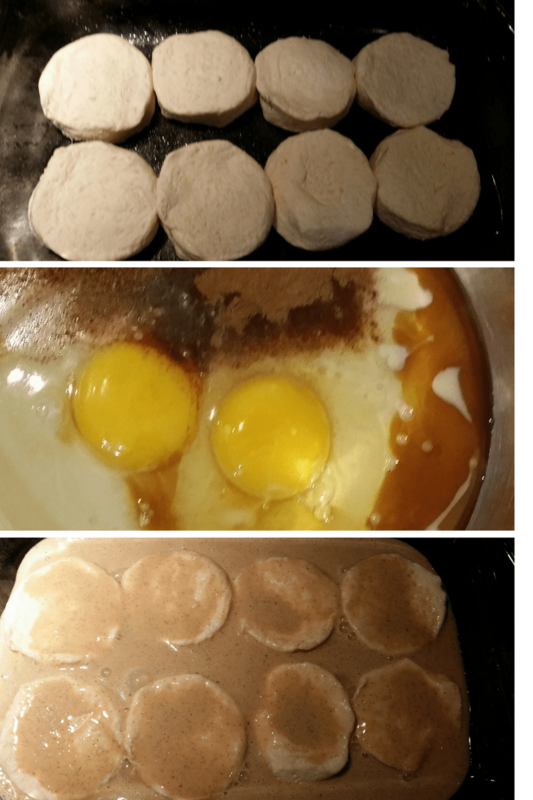 Because it’s made with canned biscuits, I think that the recipe will be easy to double. This was also the first time that I added nutmeg to my French toast batter though I’ve always had a tendency to try cinnamon and vanilla. I wasn’t sure how it would turn out but I really enjoyed the flavor. Of course, keep in mind, because this is made with sweetened condensed milk; your batter will be on the thicker side. And yes, it will be sweet. 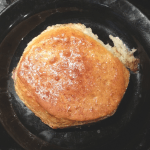 If you enjoy your French toast with syrup or powdered sugar, you may want to try a bite before topping. Fresh fruit could also work. You can also make this the night before though you’ll want to cover the pan before refrigerating. Do you enjoy French toast? Share your favorite recipe below!